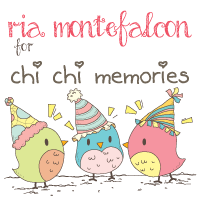 It’s Digi Monday and I’m sharing another card using Chi Chi Memories Digital Stamp Set – Costume Set 2. 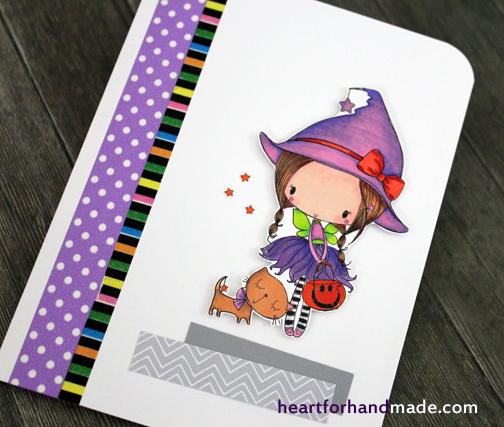 I used a background stamp from Hero Arts and random papers to coordinate with my colored image. 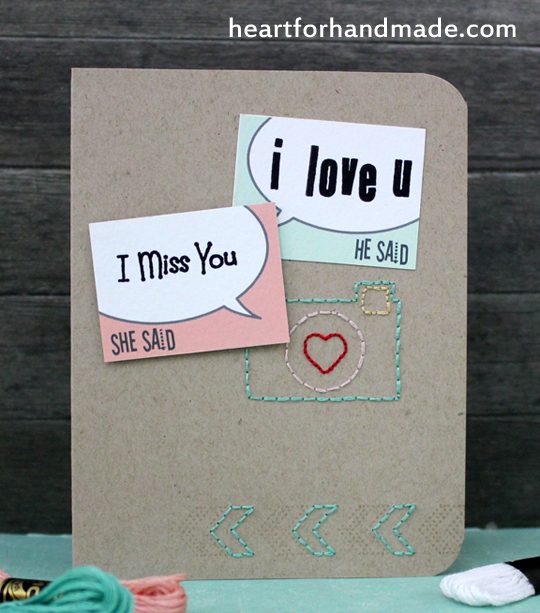 I used promarkers to color my digi stamp while the Friend sentiment is from Paper Smooches stamp. 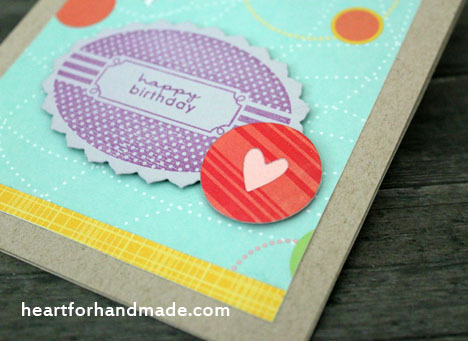 Just love the bright, fun colors of this card, just fit for a Friend that brightens our day. 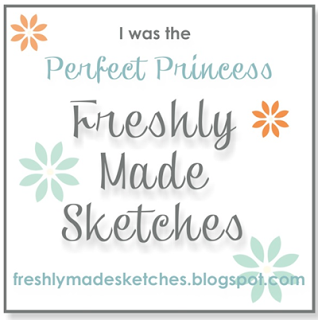 I hope you’re having a great time visiting Sketch N Scrap’s daily inspiration in the hop. Today is my turn in SNS Holiday Hop with Christmas being the highlight. It’s only few weeks from now until Christmas and I have started working on my holiday cards that I will be sending away to friends and family. Christmas is such a special celebration for us a family. As I’m working overseas, I make it a point to come home for Christmas and New Year to be with the whole family. It’s not only the time that we come together with all the kids and siblings but its the time we celebrate God’s special gift of love, the birth of Jesus. 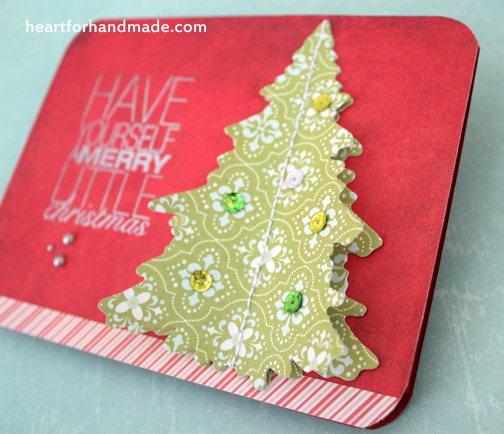 Moving with the card project today, I die cut the Christmas tree twice from Papertrey Ink. I then stitched them together for some handmade feel to it and added some sequins too for glitz. 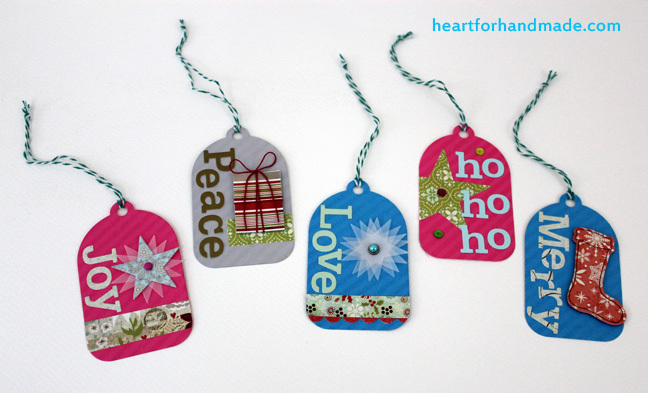 For the sentiment, I silver embossed them to complement the shine in the tree. 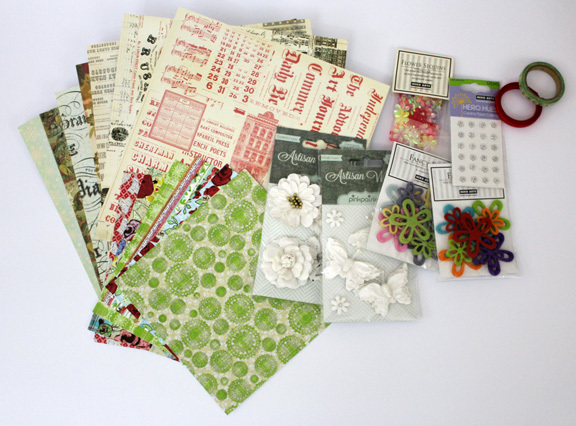 As part of the celebration to the hop, I’m giving away supplies that you can also use in your next craft project. I included some patterned papers. 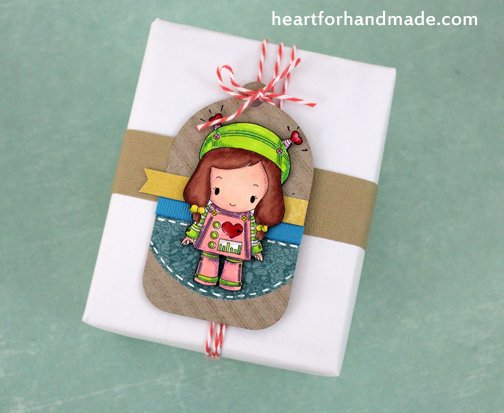 ribbon, washi and embellishments from Hero Arts and Pink Paislee. 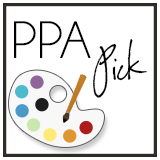 To win, you can leave a comment saying what is the best Christmas/ holiday tradition that you would like pass to your children or to the next generation. 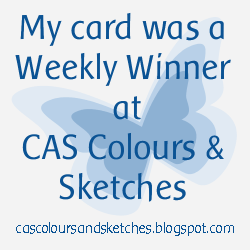 I’m drawing a random winner on 12th November 2013. 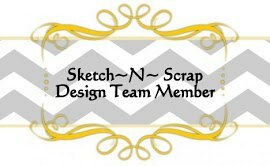 Don’t forget to come back at Sketch N Scrap blog for more project fun. 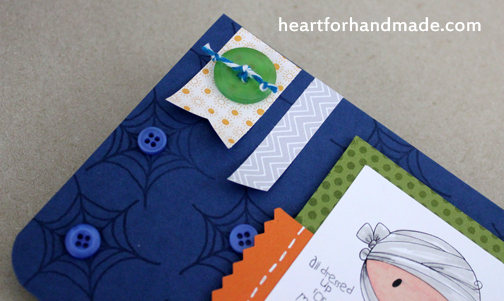 Quickly checking in to share my take in this month’s Papertrey Ink Tag it Challenge blog hop. 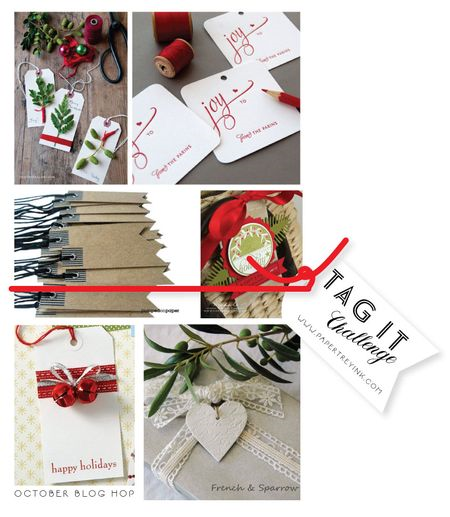 The challenge is create a quick set of five gift tags for the holidays, just perfect for the coming season isn’t it? 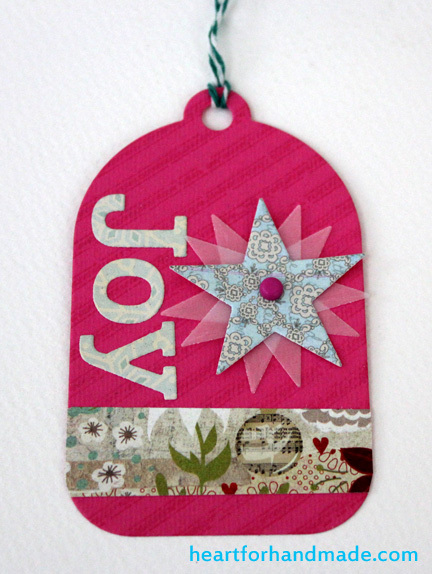 I used Papertrey Ink’s tag dies, alphas, star, and Christmas sock dies for this project. A combination of one, two or more of the elements. 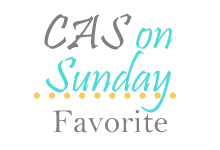 I did random ones rather than only one layout for the same set of five tags. So without further ado, here’s what I came up with. 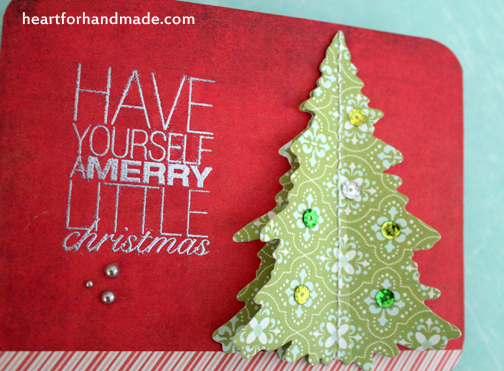 Today starts the Holiday Blog Hop at Sketch N Scrap and I’m dedicating this project post both for the hop and the digi Monday. 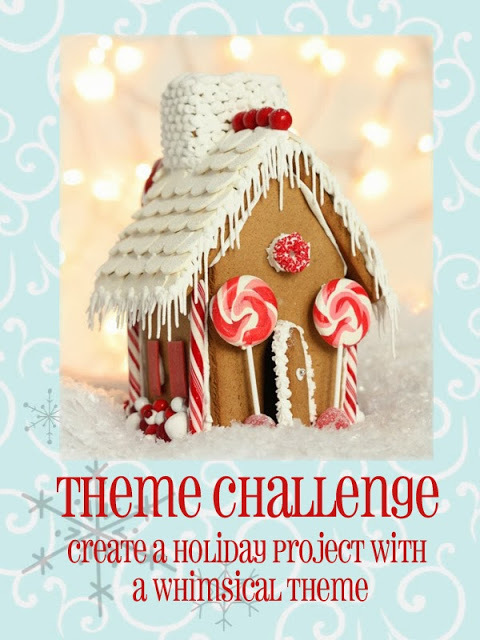 From today until 8th of November, great holiday projects will be featured everyday for inspiration SNS blog. 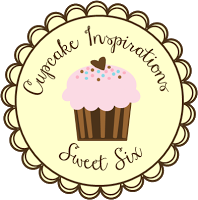 I will be featuring my take on Saturday, 26th of October but before that day comes, go and check out what’s in stored at SNS blog for a holiday inspiration and a chance to win along the hop. 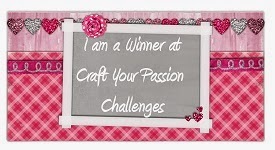 On my turn, I will be giving away some craft supplies that you can also use in your projects. 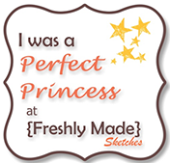 For now, let me share another project that you can do using a digi image stamp. I colored Candace digi image, Costume Set 2 from Chi Chi Memories with promarkers. Then fuzzy cut her before adhering to the tag. 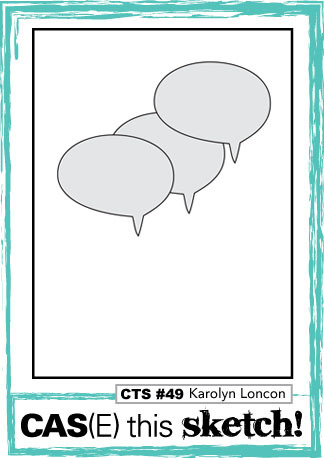 I just love how digi stamps can be resized to fit for a card, a tag or just another craft medium. Thanks for stopping by and I’ll see you again soon. 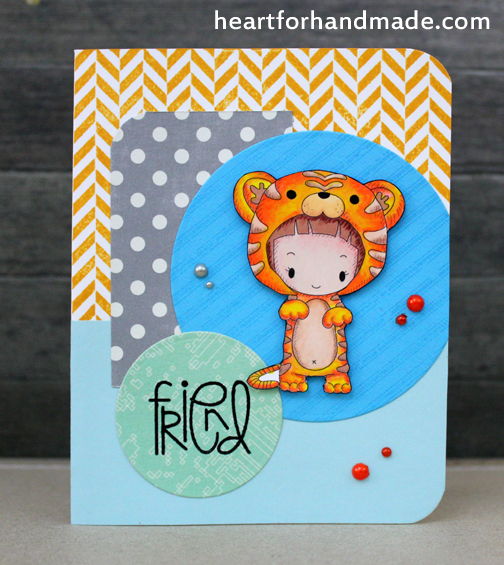 Sketch N Scrap card sketch # 12 is now up, this time from Lisa Hidy. 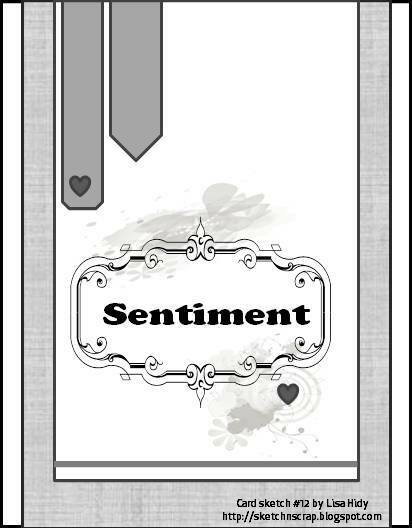 The sentiments and dies I used are all from Papertrey Ink while the strip ribbons are from my stash. The fun colors of these ribbons just makes me happy 🙂 You can go over Sketch N Scrap blog for more inspiring projects from the DT. 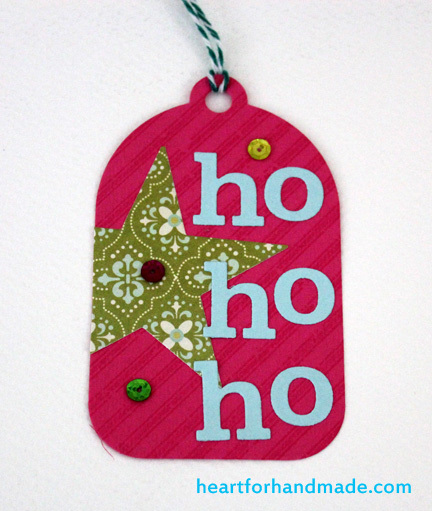 Just to remind you that tomorrow starts the Holiday blog hop at Sketch N Scrap. Beginning tomorrow until 8th of November, you can stop by everyday for a daily dose of holiday inspirations created by the design team. There will be chances of winning during the hop so be sure to check the SNS blog. There’s also an ongoing Design Team call at SNS. 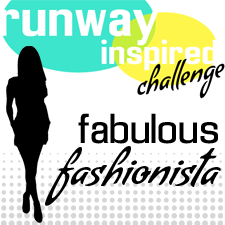 It’s a fun team to be with so check them out here too for details. Now for my card sketch take. Anyhow, I wanted to make a quick post in my take at Seize the Sketch # 6 challenge. 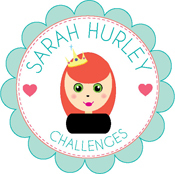 I knew about the challenge blog through Seize the Birthday blog where I also take part previously. 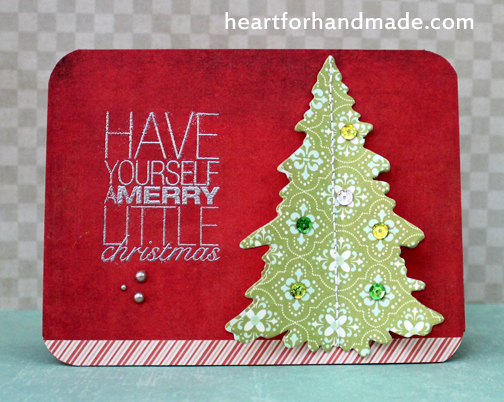 I used stamps from Sarah Hurley’s Christmas Character stamp set, Robin and Christmas Mail stamp set. 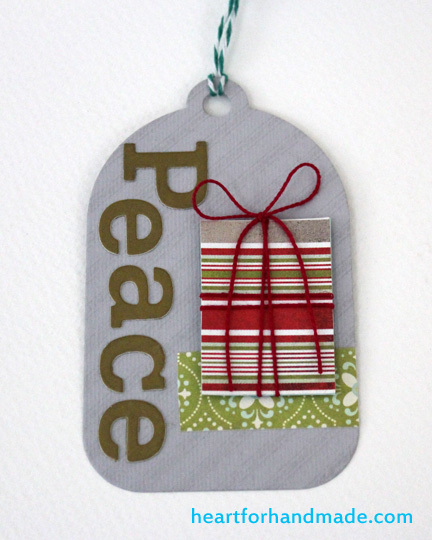 For the Holly Jolly sentiment, I embossed them with gray embossing powder. It’s the final day for the Eid holidays, still a lot of projects to be done but was able to do some holiday cards including this one. 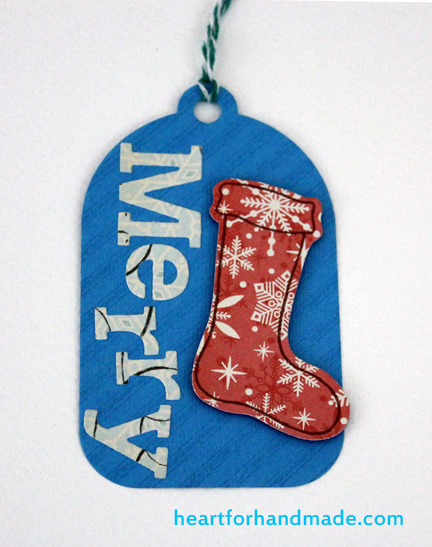 I used stamps from Paper Smooches, stamped them in patterned papers and fuzzy cut the little bird and doggie. It’s my first time using vintage papers, tried to incorporate them in a modern look? The background paper seems to overwhelm my main images so I put vellum to tone them down. For embellishment I added some mini pompom ribbon, another ribbon and a button. 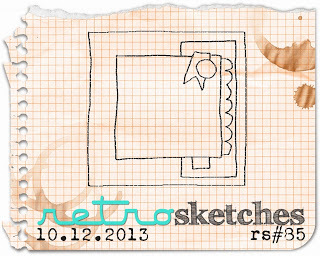 I’m entering this card to Retrosketches # 85. 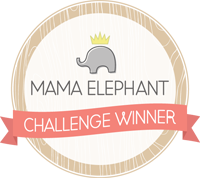 Love this week’s sketch challenge. 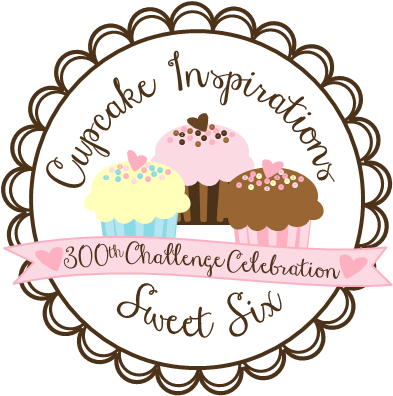 Since I’m using these pretty stamps from Paper Smooches, I’m entering the same to Festive Friday theme challenge, to create a holiday project with whimsical theme. and also to Simon Says Stamp challenge, Christmas/ Happy Holiday. 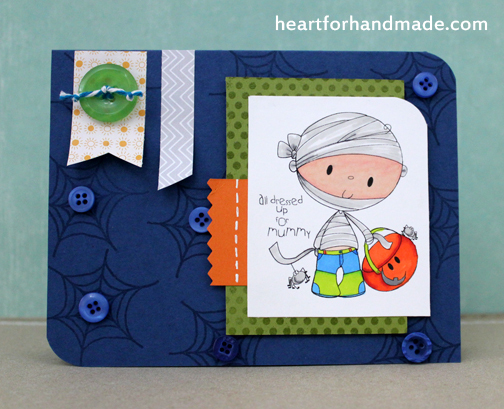 It’s the 15th of the month and now begins the 2nd card challenge at All Dressed Up blog. The theme this time is Halloween. 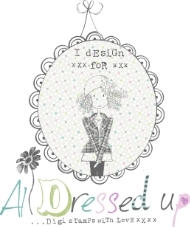 I used two digi images from ADU, first is the cutesy Magical Day and the other one, All Dressed Up for Mummy. Both images were colored with promarkers. I added some washi strips for my fairy card plus some strip of gray patterned paper at the base. 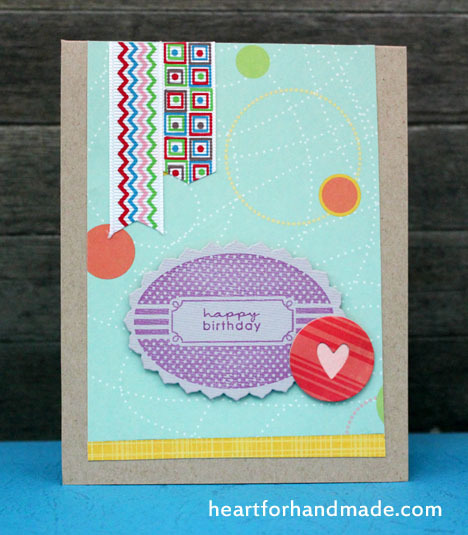 For the second card, I used the spider web stamp from Sarah Hurley’s Malcolm Strange stamp set for my background. Then added some buttons. I also embossed the background dots in green strip for my mummy. 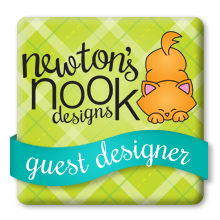 I had so much fun doing projects using All Dressed Up digis and my Guest Designer stint for October has been so awesome. Thanks so much for All Dressed Up team. It’s currently on Eid break until Thursday here in Doha. Yesterday begins the off days at work but I have to go some site visits still plus some errands so the day leaves me no crafting time anymore. I hope I can accomplish more than I usually do on holidays like this. I should do some more sewing. Anyhow, I’m sharing a quick card using Chi Chi Memories Costume Set 2. The set includes Candace and Jordy dressed up in Costumes. I used some washi tape for the flag and random papers to complement my digi image. 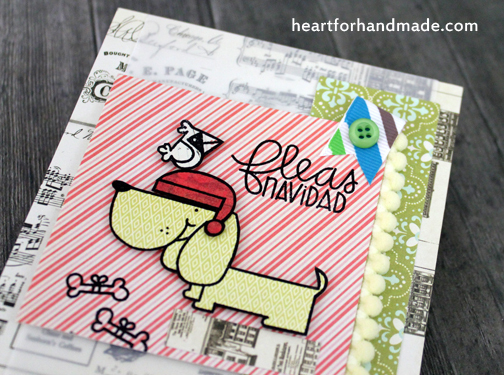 I’m entering this card to CAS(E) this Sketch # 49 combined with elements and inspirations challenge from CAS-ual Fridays challenge CFC 117, In Stitches. CFC requires the use real or faux stitching on the CAS project. So here’s my take. 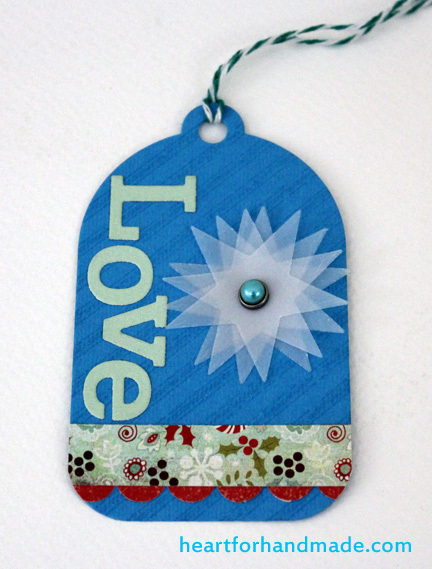 I used a combination of elements and stamps from Sarah Hurley. The mini tabs are from Sarah’s February kit club Add on 1, then I stamped the messages using the Block Alpha stamps and Sentiments stamps. 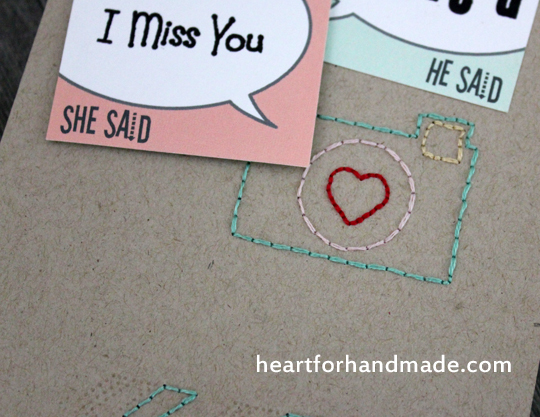 For the stitching part, I used embroidery floss following the dots in the Sarah’s Stamp & Stitch! Expedition stamps. Had fun combining stitching in stamping in this project. 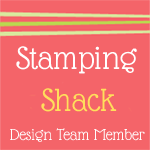 I’m also entering this card to Simon Says Stamp challenge, to Use a rubber or a clear stamp.